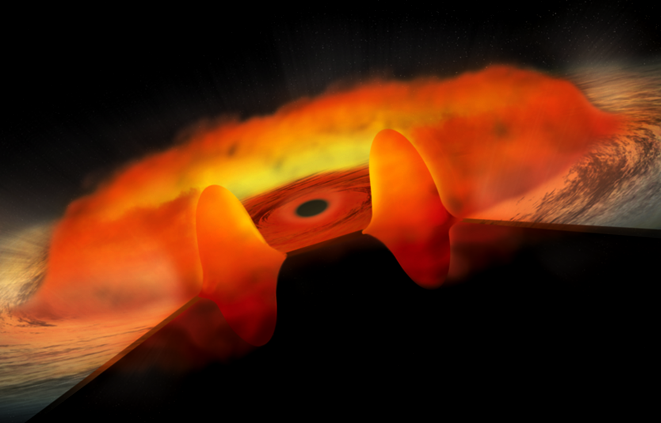 A new study of the mechanism that drives stellar winds from the upper atmosphere of a star has shed new light. 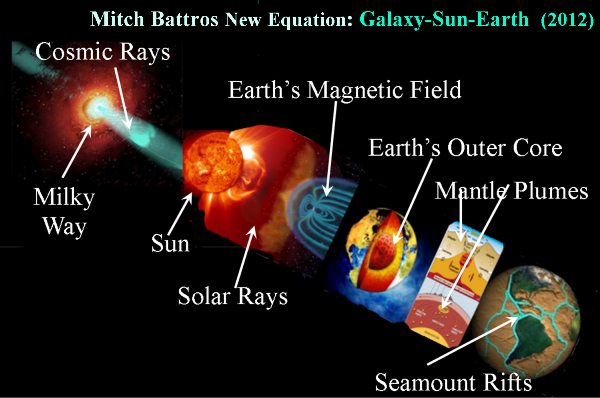 Astronomers think there are three possibilities: radiative, in which the pressure of the light pushes out the grains, magnetically driven, in which the stellar magnetic field plays a role in powering the flow, and pulsation driven, in which a periodic build-up of radiative energy in the stellar interior is suddenly released. The winds of stars more evolved than the Sun (like the so-called giant stars that are cooler and larger in diameter than the Sun) often contain dust particles which enrich the interstellar medium with heavy elements. These winds also contain small grains on whose surfaces chemical reactions produce complex molecules. The dust also absorbs radiation and obscures visible light. 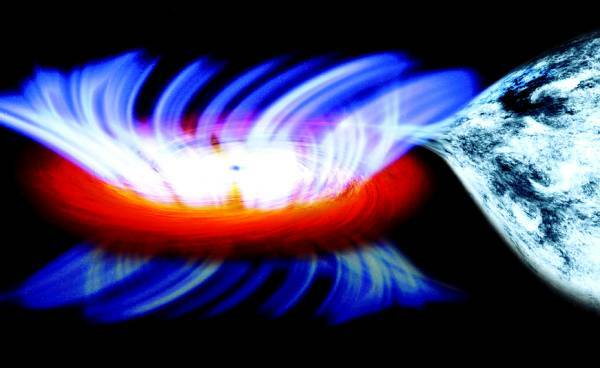 Understanding the mechanism(s) that produce these winds in evolved stars is important both for modeling the wind and the character of the stellar environment, and for predicting the future evolution of the star. Nearly all stars have winds. The Sun’s wind, which originates from its hot outer layer (corona), contains charged particles emitted at a rate equivalent to about one-millionth of the moon’s mass each year. Some of these particles bombard the Earth, producing radio static, auroral glows, and (in extreme cases) disrupted global communications. Over the years scientific opinion has varied among these alternatives, depending on each particular stellar example. Harvard–Smithsonian Center for Astrophysics Chris Johnson, and his colleagues explored the problem of wind-driving mechanism in giant stars by measuring the motion of the outflowing CO (carbon monoxide) gas around one the nearest and brightest giant stars, EU Del, which is only about 380 light-years away and shines with 1600 solar-luminosities. Its radius, if the star were placed at the position of the Sun, would extend past the orbit of Venus. EU Del is known to be a semi-regular variable star which pulses every sixty days or so (but with some secondary periods as well), and infrared observations suggest it has a circumstellar dust shell. 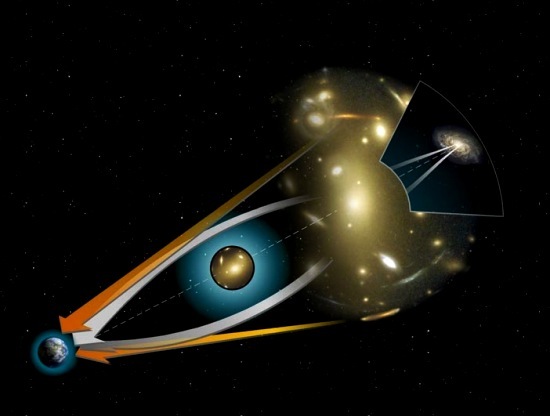 The astronomers used the submillimeter APEX (Atacama Pathfinder Experiment) telescope to look at warm CO gas in the wind, making EU Del one of the first stars of its class to be studied with this relatively new tool. The team reports finding the CO moving at about ten kilometers per second (twenty two thousand miles per hour) with a total mass-loss rate equal to about the mass of the Moon each year.